The All-Weather Championships are upon us once more, and after the excitement of the Cheltenham Festival, it truly is an exciting time for racing fans. Taking place on the 30th March this year – yes, Good Friday! – the All-Weather Championships Finals Day is the biggest day in the All-Weather calendar. There’s £1million of prize money on offer, and eager horses and jockeys training hard for the races to come. What’s more, while it’s only in its fifth season, this event sells out every year, so for those looking for tickets, it’s time to get buying! Here, we’ve got everything you need to know about Finals Day, including the cost of tickets and packages, so read on to find out more! What Is The All-Weathers Championships Finals Day? The All-Weathers Championships are a high-excitement event that is designed and organised specifically to go ahead no matter the weather. Each racecourse used within this competition are compiled of surfaces that can be run no matter the weather, meaning that come rain or shine, the show will certainly go on. Having run from the 24th October 2017 and due to continue until Finals Day on 30th March 2018, qualifying for Final’s Day for the 2017/18 is already well underway, with very few left to go. This family-friendly event features six categories of races to allow a variety of skilled horses from across the UK, and even those that have trained abroad, to compete within that to which they are best suited – and, of course, there is plenty of opportunity for the audience to watch the races that intrigue them the most. But what are the categories? This category is designed to race the best 3-year-old colts, fillies and geldings, with the championship final being an incredible race across 6 furlongs. To be able to qualify for the Finals Day races, a horse and rider have to win at least a Fast Track Qualifier for a guaranteed entry, or have run three times or more in all-weather races in Great Britain, France, or Ireland. There is also the chance to race twice in the mentioned locations, and once in Dubai during the qualifying period. The prize money for this category is £150,000. 4-year-old and above sprinters will find themselves in this category, racing a sprint over 6 furlongs in the championship final. Just like the 3-year-old category, competitors have the opportunity to win a guaranteed place in the final by winning one of the four Fast Track Qualifiers, or have run the same number of races in the same locations as mentioned previously. The prize money is £150,000. All-weather milers have the opportunity race in this category, with a championship final race being over an incredible 8 furlongs. Qualifying for this race is as above, and the prize money is £150,000. Running a marathon can be tough, however horses with experience and staying power have the opportunity to show off their skills in the Marathon category within the all-weathers championships. The final race is over 15 furlongs and 169 yards, and to qualify, they must race and win the same as above. The prize money is £150,000. This category is women-only! Well, at least where the horses are concerned. The championships are designed to find the best all-weather racer, with the final race being over 7 furlongs. Qualifying is the same as previous, and the prize money is, once again, £150,000. Middle distance racers will find themselves running a 10-furlong race in the championships, so this truly is a matter of speed and staying power combined. Qualifying is the same as the above categories; however, the prize money is much higher, sitting at £200,000! 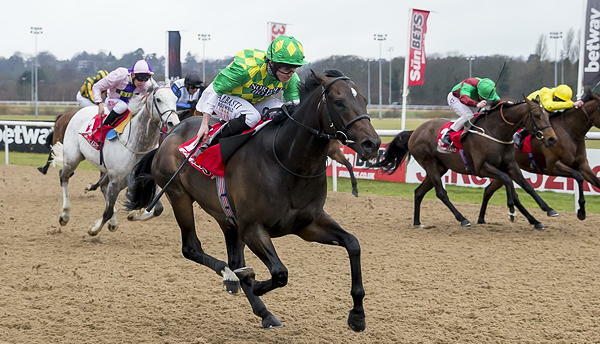 This year’s All-Weather Championships Finals Day is taking place at Lingfield Park in Surrey. Built in 1890, this track is chock full of history and even hosts up to 90 fixtures every year. After all, with three types of racing available – flat all-weathers, flat turf and jumping – the racecourse is one of the most diverse in the country. Lingfield Park is located in 450-acres of estate, and so easily qualifies as one of the most beautiful of race tracks too – if you find yourself needing a break from the adrenaline rush of the races, you can step back and enjoy the stunning view. While there is no strict dress code, there are a few things you need to avoid if you intend on going to Finals Day. First of all, there is a different dress code on Final’s Day than any other All-Weathers Championships day. While you can dress up or dress down on other days, the finals require no shorts, beachwear, sportswear or fancy dress. While you aren’t expected to break out the suit and tie, they do request that any shirts must be collared, and that you aim for the smarter side of smart-casual. Betting has always been a big part of horse racing. The thrill of placing your bets, and eagerly watching the race to find out whether you’re about to become a very rich person certainly has its charms. You can bet on the All-Weathers Championships Finals Day just like any other race, actually, UK and Irish punters are in a unique position with more options to choose from than anybody else. That being said, it’s always recommended that you bet in moderation. Never bite off more than you can chew – only bet money that you can afford to lose! Full access to public areas, including track, ring, bars and cafes and betting outlets. All that’s included with Premier Ticket, plus a fish and chips meal and a commemorative race-day programme. You’ll receive a hospitality admission ticket, a three-course buffet, a commemorative race-day programme, tote betting facilities, private cash bar access, televised action of the races and priority car parking. A Premier Admission ticket, a five-course chef served menu at the trackside restaurant, a commemorative race-day programme, convenient betting facilities and televised action of the races. This includes VIP access to the trackside lawn, two Premier Admission tickets, a bottle of prosecco, and two commemorative race-day programmes. A day at the races is undoubtedly one of the most unique and thrilling experiences you can have. Whether you spend the entire day watching some of the best jockeys ride the most skilled horses to the finish line, or you choose to opt for the full hospitality experience, there’s plenty to look forward to for the All-Weathers Championships Finals Day. Before long, the qualifying races will tell us exactly who we can expect to see beating the track, but for now the tickets are selling out fast, so make sure you get yours soon!